There are big things ahead for Will Pucovski. FORMER Victorian and Australian player Bryce McGain has hailed young gun Will Pucovski as a "once in a generation" talent who has big things ahead on the international stage. The 20-year-old received a shock call up to the Australian squad for the upcoming Test series against Sri Lanka, despite having played just eight first class matches. He averages 49 in Sheffield Shield cricket and has two centuries to his name already - including a mammoth 243 against Western Australia in October. Pucovski missed almost two months of cricket because of mental health issues but came back to play the last Shield game before the Big bash started, scoring a half century in the second innings. Leg-spinner McGain, who played one Test for Australia, believes the right-hander is a special prodigy who will go on to captain Australia. "For Will Pucovski this is a bit of a soft entry, he will play in these two Tests without a shadow of a doubt," McGain told SEN Afternoons. "He'll be batting in the middle order for Australia - how exciting is that? A young debutant, 20-years-old, very capable and a great body of work of batting for long periods of time. "I think that's a better entry for him to go in and play against Sri Lanka and really kick-off his Test career batting at No. 6. "I think he's one of these once in a generation type players, like a Ricky Ponting, like a Michael Clarke that he will come in, bat at six, but then we might find him as the Australian No. 3 and quite possibly down the track the Australian captain as well." 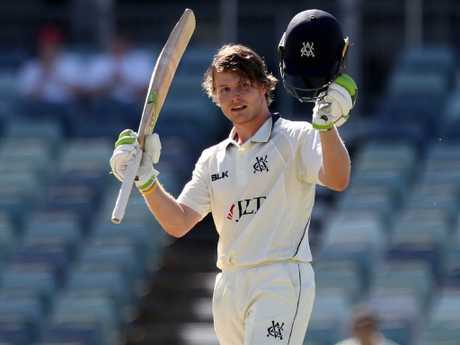 The Victorian has been on national selectors' radar since he plundered 650 runs at 162.50 in the national Under-19 championships - an achievement he quickly followed by making his first-class debut. Will Pucovski’s star is on the rise. Pucovski has worked closely with mindfulness coach Emma Murray and is confident the investment in his mental health will help him to handle the pressures of Test cricket. "I'm feeling really good, as good as I have felt in a really long time," he told reporters during the week. "It's one of those things where it is a day-by-day proposition for me that I have to manage. I think it is a good thing to invest time in. "I am meditating every morning, which I honestly never really believed in until (Murray) got me on to it and things like that have helped me turn things around. "I was able to play that Shield game and loved every minute of it. I feel like I am back in action." Along with Joe Burns, Matthew Renshaw and Marnus Labuschagne, Pucovski will press his case for Test selection in a tour game against Sri Lanka. 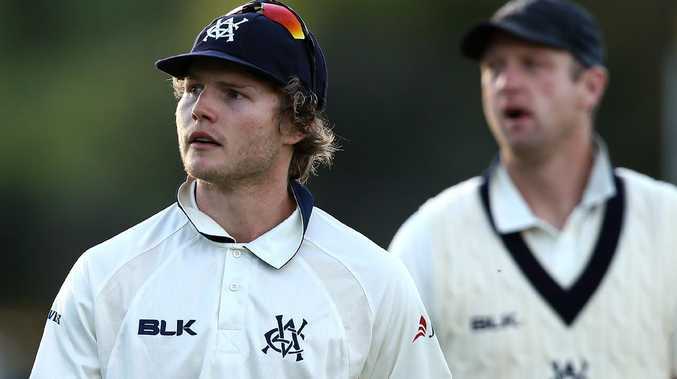 The fixture will provide a valuable chance for Pucovski - whose only other taste of day-night cricket came during a tour game against England last summer - to acclimatise to the pink ball that will be used during the first Test in Brisbane. Pucovski was at club training on Tuesday night when the name of national selection chairman Trevor Hohns flashed up on his phone, delivering news that came considerably earlier in his career than he had been expecting. "My heart probably skipped a few beats," he said. "If I get a game it'd be amazing and if not, it'd still be awesome to be part of the squad." News The local organisation whose growth is stifled by volunteer numbers. News Find out where in Gladstone you can access the new service. 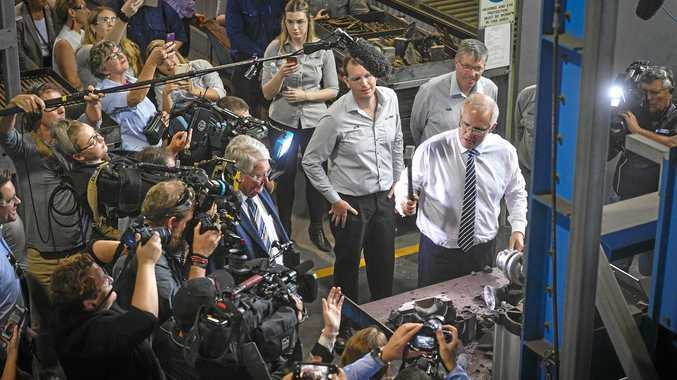 © Gladstone Newspaper Company Pty Ltd 2019. Unauthorised reproduction is prohibited under the laws of Australia and by international treaty.